People who have A, B, or AB blood types are at an elevated risk of having a heart attack during periods of significant air pollution, compared to those with the O blood type, a study warned today. People who have A, B, or AB blood types are at an elevated risk of having a heart attack during periods of significant air pollution, compared to those with the O blood type, a study warned today. The ABO gene - which is present in people who have A, B, and AB blood types - is the only gene that is been validated in large international studies to predict heart attacks among people with coronary disease, researchers said. Previous studies have also shown links between small-particulate PM2.5 pollution and heart attacks, admission to the hospital with unstable chest pain, heart failure, and a trial fibrillation. "We wondered, if someone has a specific variation in this ABO gene, are they more or less likely to experience a heart attack in times of higher pollution?" said Benjamin Horne, from Intermountain Medical Center Heart Institute in the US. "The primary mutation we studied differentiates between O blood types and non-O, which includes positive and negative A, B, and AB blood types. The one that has been found in genetic studies to be lower risk is O. The other three were higher risk," said Horne, lead investigator of the study. Dozens of genes have been shown in large international studies to predict the onset of coronary artery disease in people who are free of the disease. However, the vast majority of people would not have a heart attack unless they already have coronary artery disease. Nor is a heart attack a certainty even with heart disease, researchers said. "You have to have other characteristics for coronary disease to progress to a heart attack. The association between heart attacks and pollution in patients with non-O blood is not something to panic over, but it is something to be aware of," Horne said. Researchers had already identified a level of pollution at which the increased risk occurred for people with non-O blood types, and that threshold is 25 microgrammes of pollution per cubic metre. "Two years ago we published findings that showed once you go above that, each additional 10 microgrammes of pollution per cubic metre of air provided substantially higher risks," he said. "At levels higher than 25 microgrammes per cubic meter of pollution, the increase in risk is linear, while below that level there is little if any difference in risk," said Horne. Also read: Eat According To Your Blood Group To Lose Weight And Stay Fit: Check It Now! Researchers found that people with type O blood also have higher risk of heart attack or unstable chest pain in times of high air pollution. However, their level of risk is much smaller, at 10 per cent instead of the non-O blood type's 25 per cent per 10 additional microgrammes per cubic meter, Horne said. 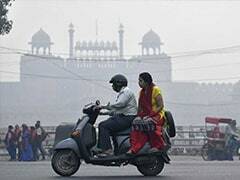 At the 65 microgrammes per cubic meter pollution level, a person with type O blood faces risk that is 40 per cent higher than if the air was not polluted. 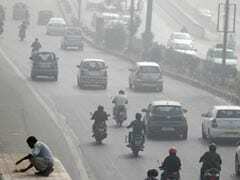 With the current situation of air pollution in the national capital, this is a serious cause of concern. Prolonged exposure to air pollution is risking Delhiites with a higher risk of suffering a heart attack, especially, the non-O blood type people. It is stated that when the Particulate Matter 2.5 crosses the 25 micrograms level per cubic meter, it is a cause of concern. At present, Delhi's fine PM levels have crossed 60 micrograms per cubic meter. This is on the basis of a 24-hour average. In times of excessive pollution, the level goes beyond PM 2.5 multiple times. Each time it increases by 10 micrograms of PM 2.5, non-O blood type people increase their risk of heart attack by 25%. For O blood type people, the risk increases by 10%. However, if PM 2.5 goes beyond 25 micrograms per cubic meter, it is risky and a cause of concern for all blood types. 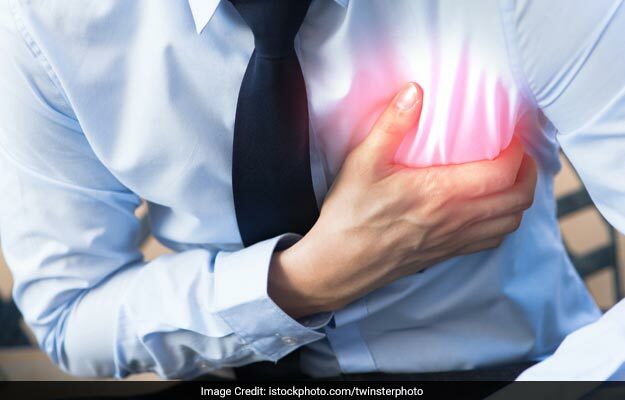 Scientists further explain that people with coronary heart disease are the ones who have a higher likelihood of suffering from a heart attack. The link between heart attack and pollution is not something one needs to worry about but, it something that all people should be aware of. 1. O blood type people are at a lower risk of heart attack.